If you want a seat at the bar on a Thursday night at Cafe Azafran, show up early. That’s what the mother and daughter who I joined suggested. When they come on a Thursday they’re there pretty much from opening to when the show starts. When it does, they are two of maybe six people who have a front row seat for Holly Lane’s show. Holly is the bartender, she also is a singer. Starting around 7 p.m. she straps on a cordless headset and does both at once. There’s something special about stumbling across an attraction you didn’t imagine, wandering into a place without expectation and discovering that you’ve stuck gold. When Holly Lane was recommended as a bartender who knew her stuff, it wasn’t clear that in addition to making drinks she was the evening’s entertainment. After seeing people pack themselves into Cafe Azafran’s front room and around the bar in anticipation of the evening’s show, though, it was clear that being a quality bartender was only the beginning for her. Holly spent the better part of her career as a working musician in Paris, living in the Latin Quarter and enjoying all the City of Lights had to offer. Seriously, what’s more romantic than having your first show start at midnight and heading home at dawn? Trained as a ballerina, Holly added singing to her repertoire as much to get extra chorus work as because she had the talent and the drive. Before too long, she joined up with different outfits, touring Europe from her Paris base of operations for much of her adult life. After 15 years abroad, though, it was time for her to come back to the states. When she’s not slinging drinks as Cafe Azafran, Holly fronts Shore Jazz and performs as part of a duo with John Flynn, entertaining at various beach bars. While it isn’t uncommon for the bartender to double as a musician, having a musician who doubles as a bartender is pretty rare. Holly had been working around town as a singer when Cafe Azafran opened in Rehoboth and heard they were looking for a bartender. The owner asked her whether she had a following and she answered honestly in the affirmative. Her following wasn’t interested in having her make drinks, though. 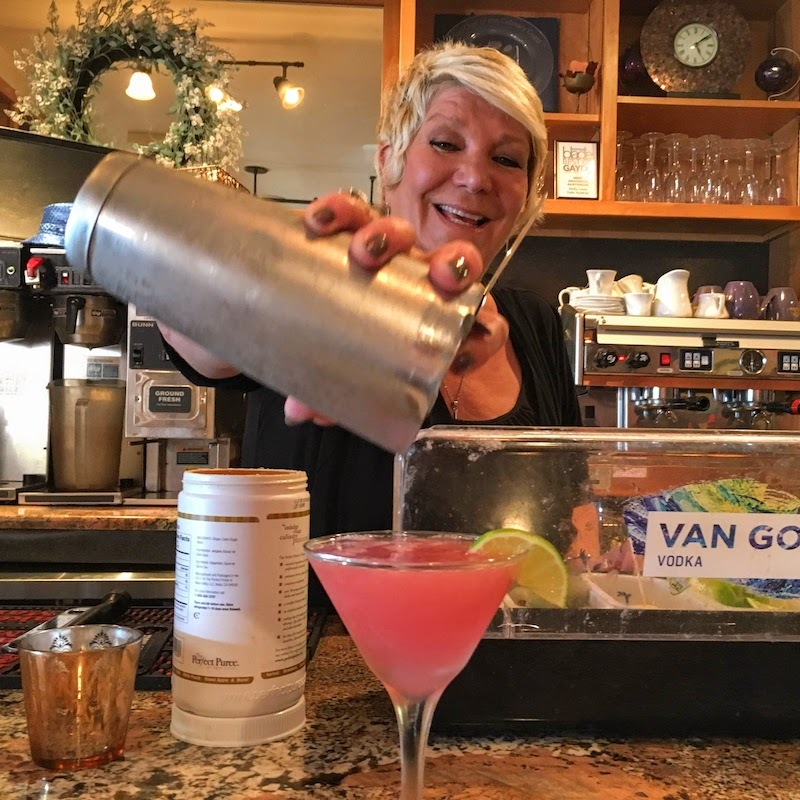 Holly Lane pours a Holly’s Cosmopolitan at Cafe Azafran. A working musician, Holly sings while she bartends on Thursday evenings. It’s hard to imagine live music in Cafe Azafran’s close quarters. The restaurant is long and narrow from front to back, opening up into an outdoor seating area which would be prime real estate if the music wasn’t up front. As early as five o’clock would-be patrons who haven’t reserved something up front are escorted through the restaurant toward the back. By 6 p.m. the bar is running out of stools and it isn’t long before the last of them will be occupied. When Holly first started singing from behind the bar she used a microphone stand but that quickly (and in retrospect obviously) was a plan doomed to fail. After a little more trial and error she found the setup that best suited both her performance and mixology needs. Cafe Azafran regulars, many of whom see the show week after week, remain astounded at the ease with which Holly moves from drink order to drink order, belting out tunes to the good-natured confusion of newcomers and the delight of the regulars. After singing professionally for more than 20 years, learning the drinks was more complicated than making them while singing. It takes an amount of concentration, but once you reach a certain level of professionalism, the circumstances under which you perform your job are secondary. Holly is a pro, and it’s evident. You have to love the wordplay right off the bat. After all, Holly is pretty cosmopolitan. Also, this is her take on the classic drink. 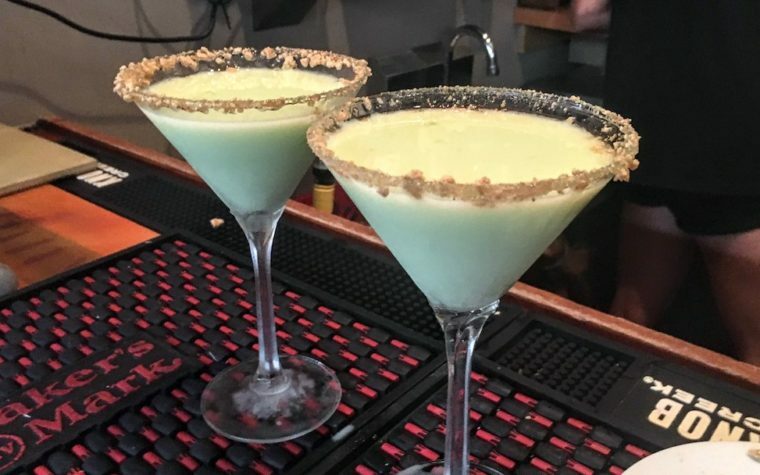 There always is enough downtime that bartenders like to mess with different flavor combinations and alternate ways of making drinks people already love. 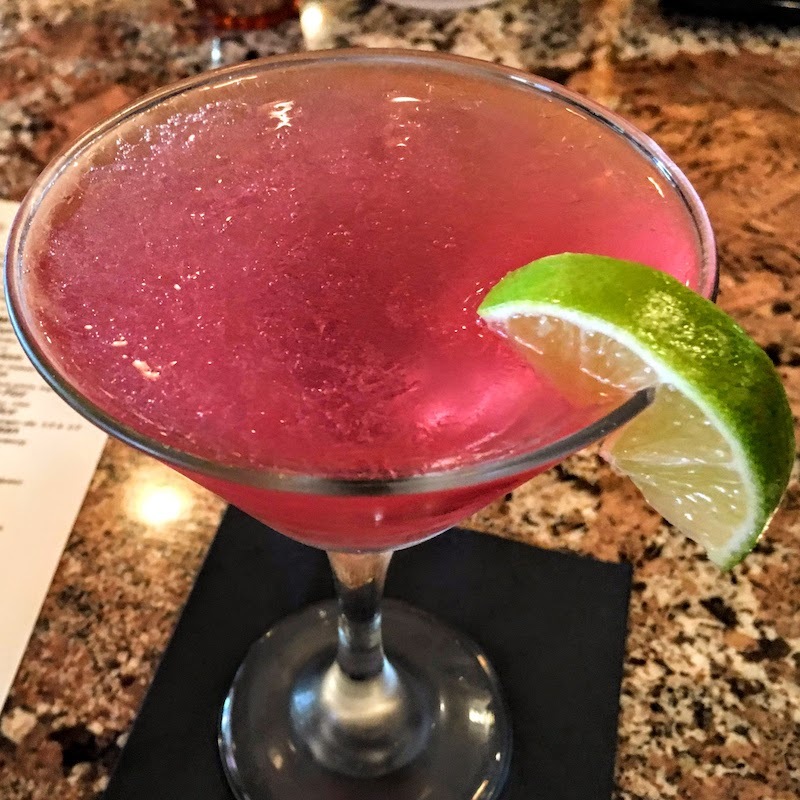 Her take on the Cosmopolitan (and on being cosmopolitan) is to add a little sweetness and take the edge off. To that end, she trades out regular vodka for Stoli Orange. The orange vodka undermines the tart cranberry character just a little bit, but still makes an already easy-drinking cocktail a little extra palatable. 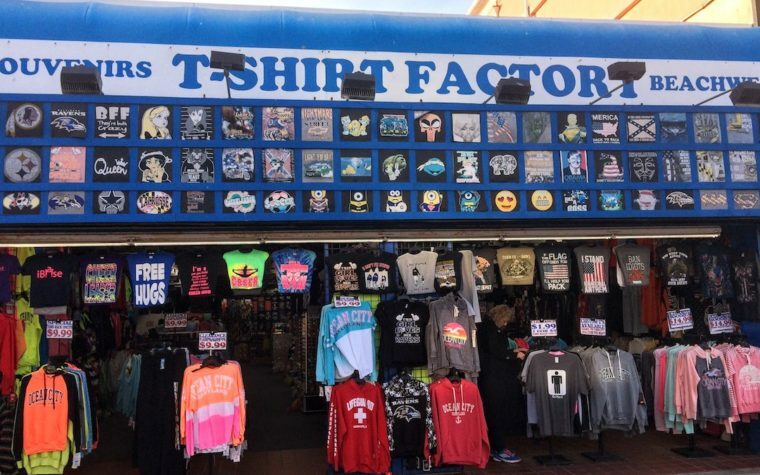 Next:Why Are You Still Wearing That Stupid Novelty Tee Shirt?